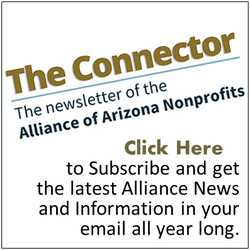 "The mission of Az Business Angels is to help create an alliance that will give new hope to nonprofits and inspire businesses to make it their mission to connect, volunteer and give back to the communities they serve,” says Mike Atkinson, president and CEO of AZ Big Media. To help shape the content of Az Business Angels, AZ Big Media assembled an editorial advisory board made up of community leaders who have a major impact on the nonprofit sector. For more information contact Cindy Kurtze - cindy.kurtze@azbigmedia.com or call 602-424-8850.